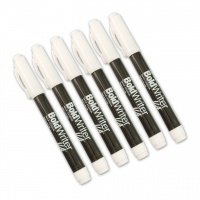 Writing pens designed for people with hand dexterity problems. 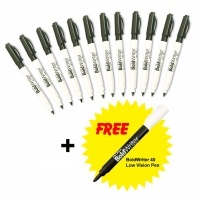 Money-saving 12 Pack of the Reizen BoldWriter 40 Pen. 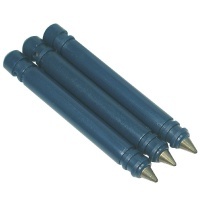 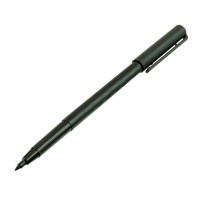 The Economy Low Vision Pen is the best choice for budget low-vision pens. 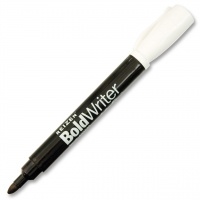 The dark ink is very easy to see and read. 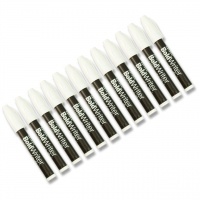 The smooth felt tip provides a fluid writing experience and writes a finer line than many other marker pens. 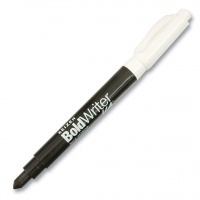 This pen is a good match for our large-print appointment calendars, bold line shopping list pads, and bold print notepaper. 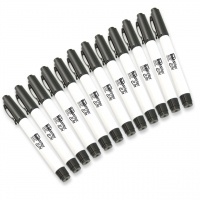 The Economy Low Vision Pen's non-toxic ink dries quickly and is non-fading. 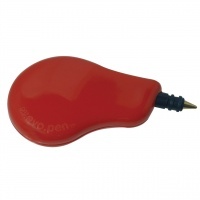 The lightweight, slim design makes it convenient to carry in a shirt pocket or purse.